The dream of the biggest showdown in the history of combat sports – Khabib Nurmagomedov vs Floyd Mayweather is close to becoming a reality. 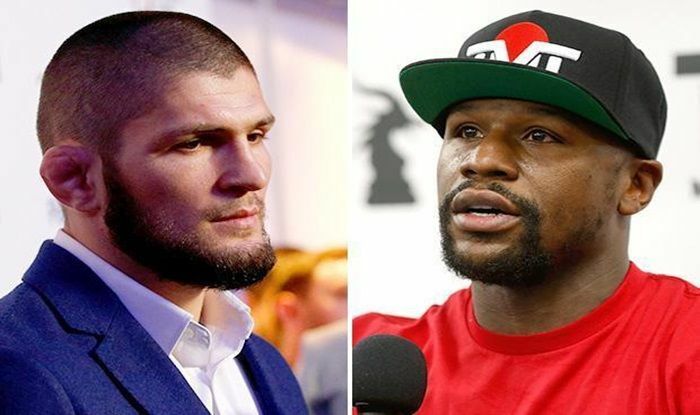 Khabib’s father has fuelled talk of a ‘Superfight’ with Floyd Mayweather Jr – and even gone as far as naming a date and venue for the showdown. After registering a historic victory over Conor McGregor at the UFC 229 event in Las Vegas in early October, Khabib became a global superstar as he successfully managed to defend his lightweight title. With this win, the burly Russian extended his unbeaten streak to 27-0 and didn’t shy away from throwing a challenge at Mayweather. It has prompted talk of another cross-sport showdown involving money-making machine Mayweather, who is already set to take on Japanese kickboxer Tenshin Nasukawa in an exhibition match on New Year’s Eve. Russian fighter Khabib is now eyeing a bout with the undefeated, five-weight boxing world champion with his father, Abdulmanap, stating on TV in his home country that a fight could take place in May. “A fight with Floyd is possible after the end of the contract with the UFC,” he told IZ.ru. He appeared in a video alongside Mayweather Promotions CEO Leonard Ellerbe stating: “Hey let’s go, Floyd, we have to fight now. “50 and 0 verses 27 and 0, two guys that never lose. Let’s go, why not? Nurmagomedov is still waiting to discover his punishment for his part in the brawl which followed his UFC 229 win over McGregor, but he recently spoke about his desire to being talk over a Mayweather clash once the investigation is concluded. “For legacy and in the sense of the money aspect, and in a sporting sense, I think the Mayweather fight is much more interesting,” Khabib added.